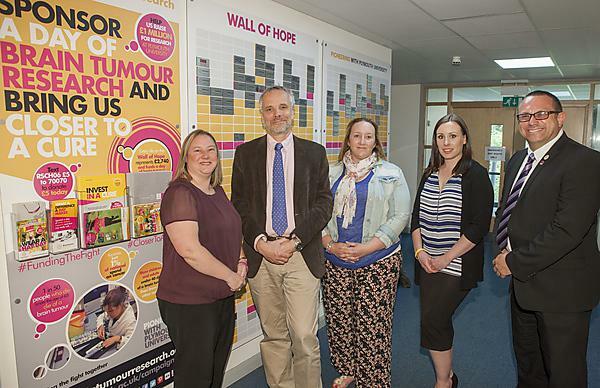 Devon law firm WBW has chosen Brain Tumour Research as its Charity of the Year. Over the coming months, the WBW team aims to raise thousands of pounds to support the charity, which funds a Research Centre of Excellence at Plymouth University. The firm, which has 170 staff at branches in Newton Abbot, Torquay, Bovey Tracey, and Exeter, hopes to raise £10,000 which will be invested in finding a cure for the disease. Brain tumours kill more children and adults under the age of 40 than any other cancer … yet just one per cent of the national spend on cancer research has been allocated to this devastating disease. The research team at Plymouth University are focusing on identifying and understanding the mechanism that makes a cell become cancerous. They are exploring ways in which to halt or reverse that mechanism. WBW’s fundraising will be supported by Peter Jordan, the charity’s community fundraiser in the south west who lost his father, Jim Jordan, from Paignton, to a glioblastoma multiforme (GBM) brain tumour at the age of 76. The research centre at Plymouth University is part of a network of four funded by the charity where world-leading research into the causes of brain tumours and improving treatments is taking place.